When Samsung’s Galaxy S7 arrives in March, it may borrow one of the iPhone 6S’s biggest new features. The Wall Street Journal reports that the company plans to add a pressure-sensitive display to the new handset. The newspaper explains that, according to “people familiar with the matter,” the phone may also feature a fast-charging USB Type-C port as well as a retina scanner. There are no further details about how the pressure-sensitive screen might work. We are, of course, still some way out from the phone’s official launch, so those specs still have time to change. Less likely to change is the fact that, like the current model, it’s said that the new handset will be available with a curved-edge screen. 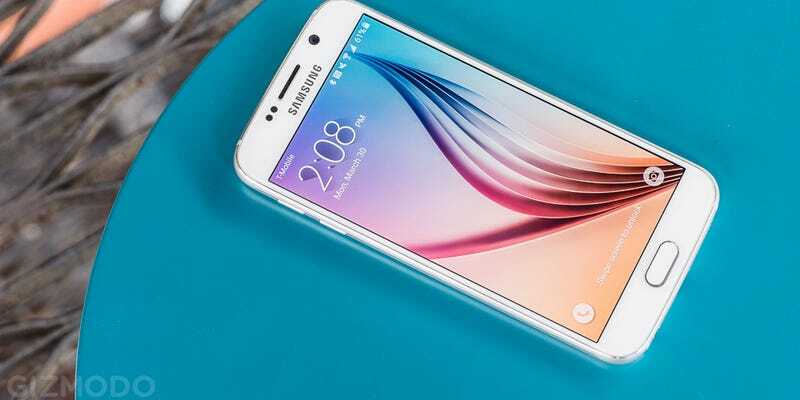 No prizes for guessing that’s slated to be called the Galaxy S7 Edge. A USB Type-C port shouldn’t come as too much of a surprise, nor should the fact that the Journal claims it should offer a full day’s charge in 30 minutes. Qualcomm recently announced that its new fast-charging system could take a dead phone to 80 percent of charge in just 35 minutes, for instance. Elsewhere, the report suggests the non-Edge version of the phone will feature am external memory card slot and an “improved camera that is optimized for lowlight photography and is flush with the back of the phone.” Otherwise, though, it claims that the S7 will look “largely similar” to the S6. Even if they’re currently accurate, there’s plenty of time for these details to change between now and March. We’ll just have to wait and see.